The Harley Story | MacKellar Associates, Inc.
Who was Harley? 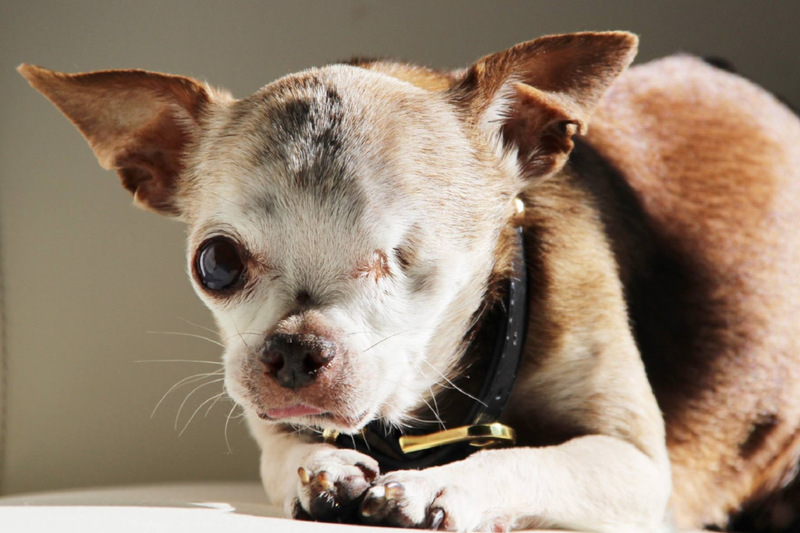 Harley was a strong, spirited little Chihuahua who overcame an abundance of medical conditions caused by spending 10 years in a cramped, filthy cage in a puppy mill – where he lost an eye when his cage was power-washed. The Blanket Lady was touched by Harley’s story of how he was freed and found a loving home. Harley went on to become a spokesdog against puppy mills and was voted the American Humane Association Hero Dog in 2015. Sadly, Harley passed away on March 20th, however his legacy lives on. In a heartfelt effort to bring awareness to Harley and his legacy, The Blanket Lady, for a limited time only, will donate 10% of the proceeds on all pet blanket purchases (Harley or Custom) to Harley’s Puppy Mill Education & Outreach Fund via the National Mill Dog Rescue.